Sweet wine aged in American Oak barrels. Cream is a fortified wine born from the coupage of the two characteristic grapes of the Jerez-Xeres-Sherry D.O: Palomino and Pedro Ximénez. 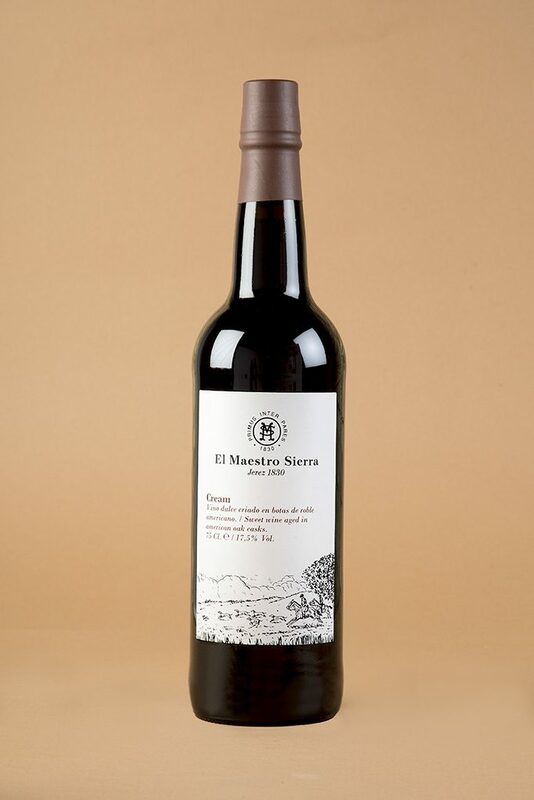 Its elaboration requires a proportion of 70% of 15 year old Oloroso and 30% of 5 year old Pedro Ximénez. Once blended, Oloroso and Pedro Ximénez will be passed into the American Oak barrels to age for a further 4 years through the system of criaderas and soleras. To the senses: chestnut, elegant, oily, seductive. For El Maestro, it goes with… toast with Torta del Casar cheese.